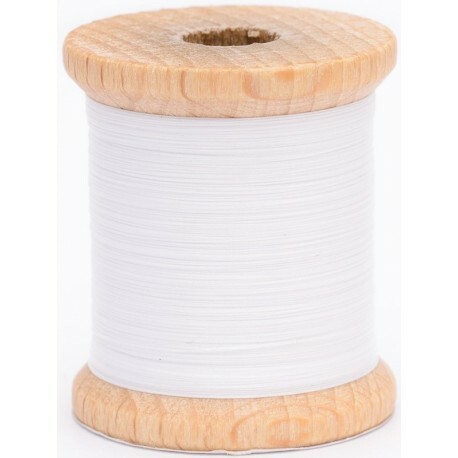 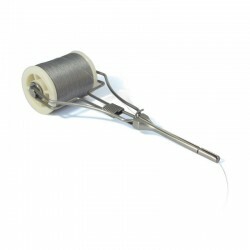 This is a new type of UV reflective fly tying thread that can be used as standard tying threads, as a body floss or as ribbing or to accentuate specific features of a fly. Perfect for instance for micronymph hotspots, ribbing of Spanish nymphs (perdigones) or incredible tails. The development of this thread was highly challenging with focus on the colors visibility under the ultraviolet radiation. 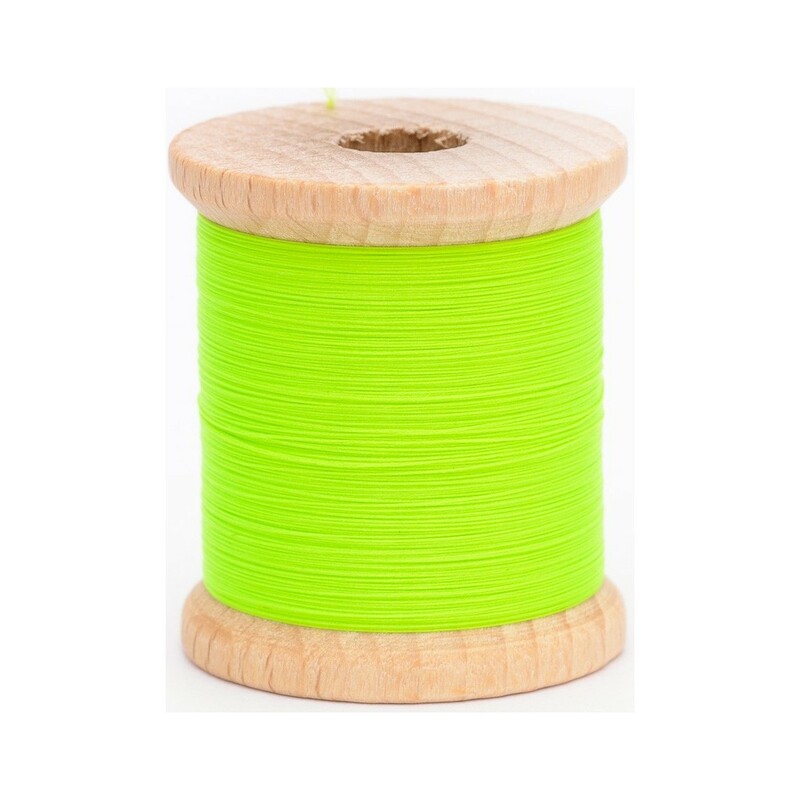 We offer the wide range of colors from white to black, but do not be fooled at first glance; the color in UV light looks different - it is much more brighter. 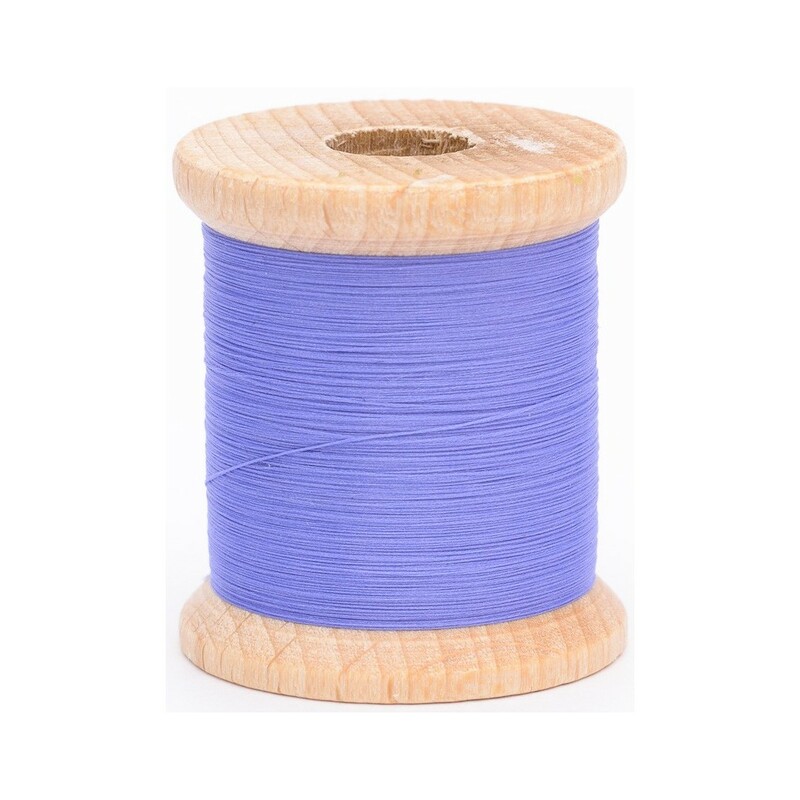 The human eye perceives color in wavelengths between 400 and 750 nm, but many animals, among them fish, perceive light also below 400nm, the UV light spectrum. 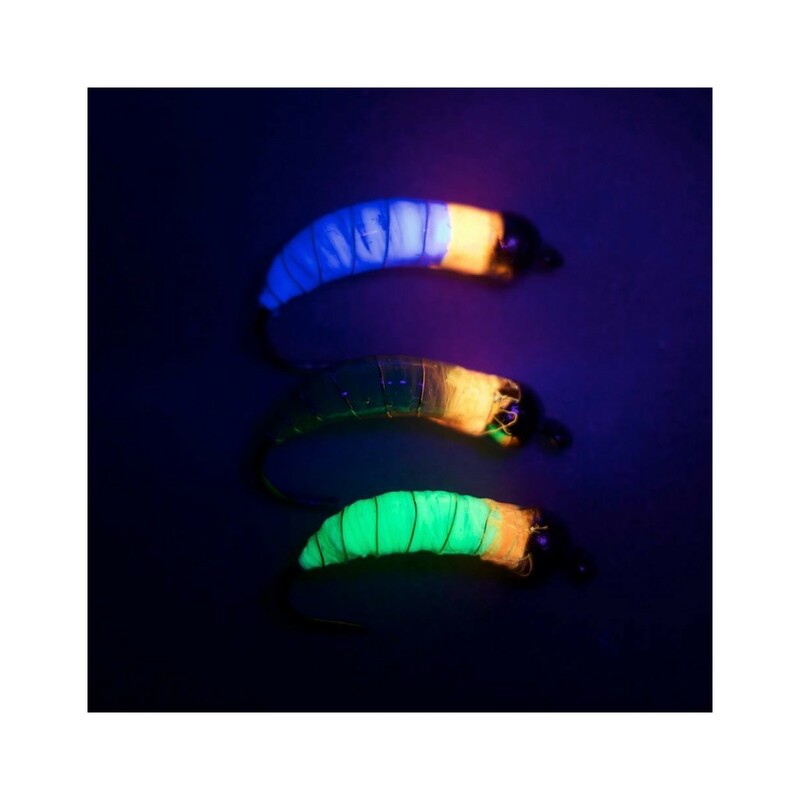 We know that for many fish species UV light is an important factor not only for foraging but also for sexual courtship behavior. 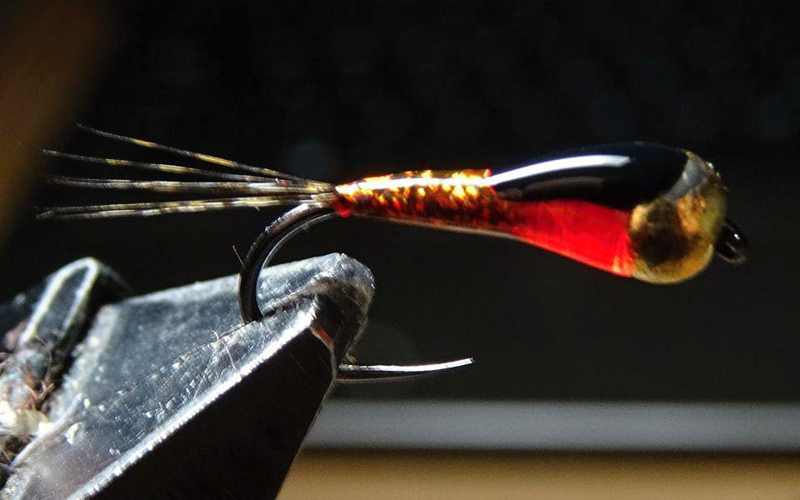 Thus, flies that reflect UV light may be very effective in triggering aggressive behavior in fish towards a fly resulting in more strikes. 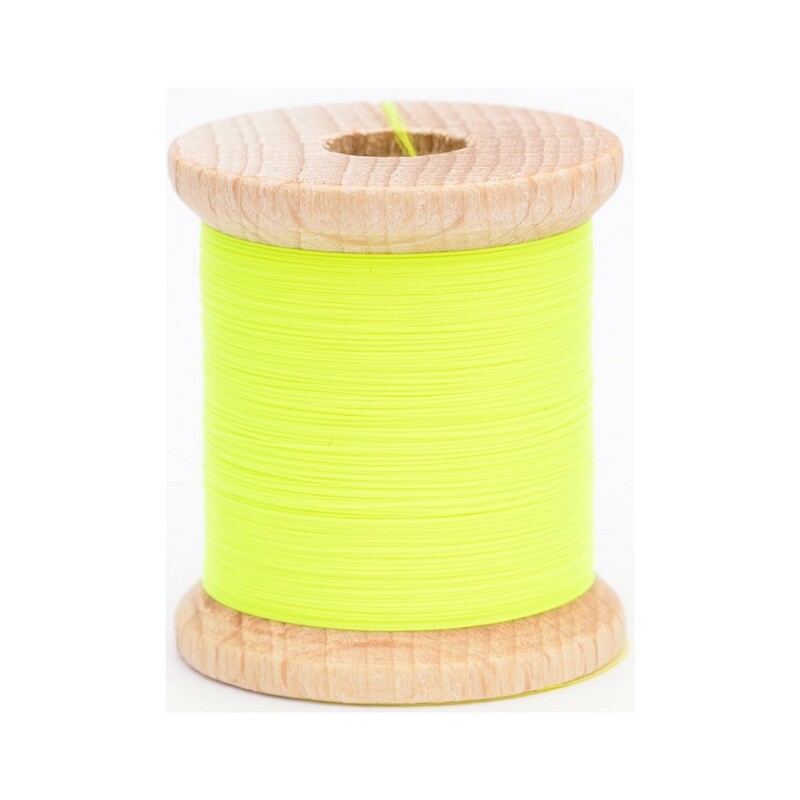 If this thread is illuminated by an external UV light source, a part of this light is reflected back at wavelengths visible for us humans giving them a highly bright appearance, in contrast to most other fly tying materials. 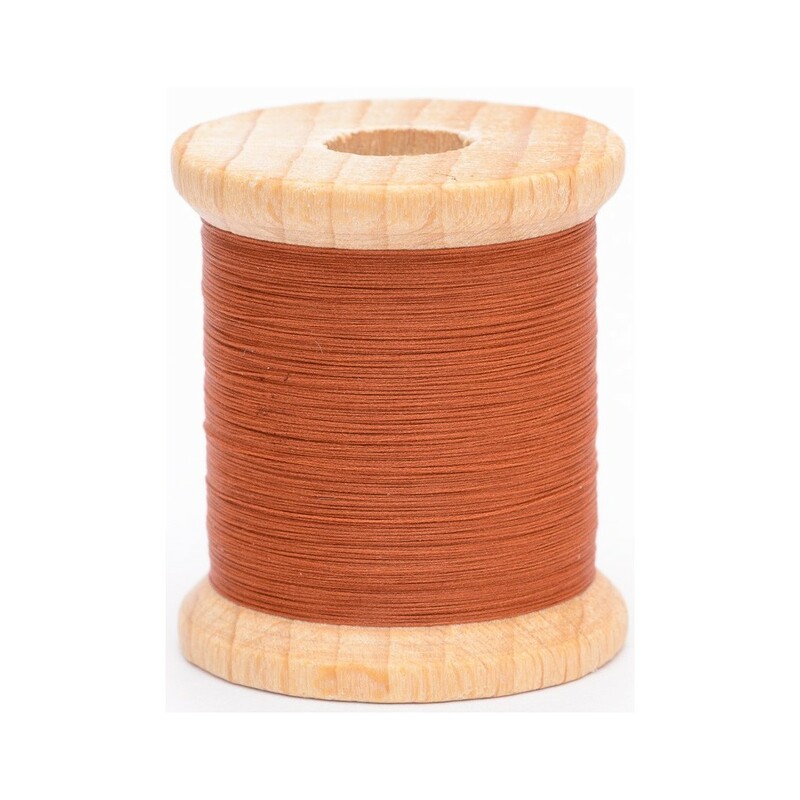 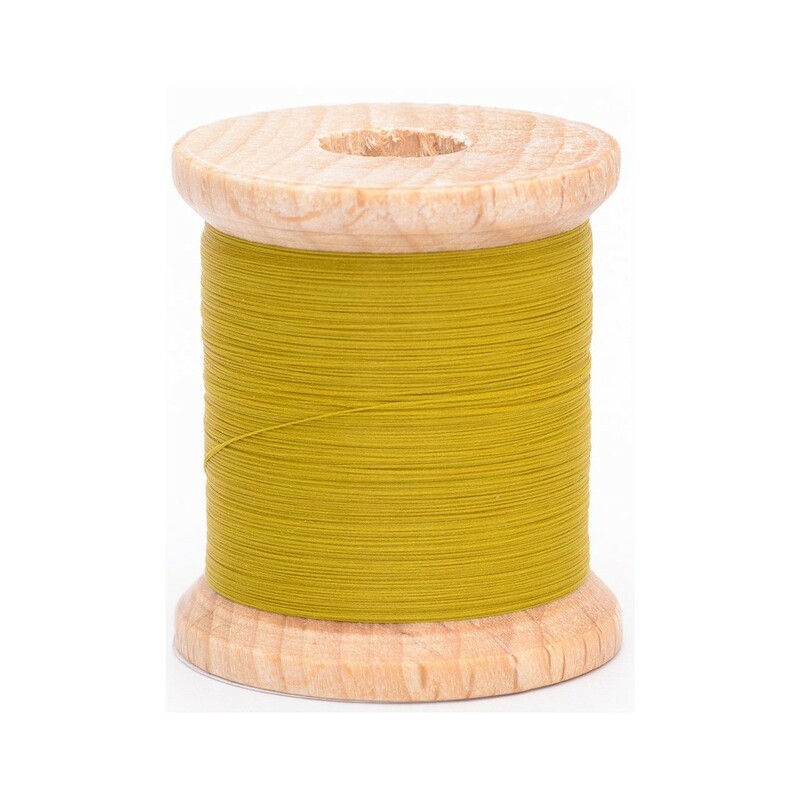 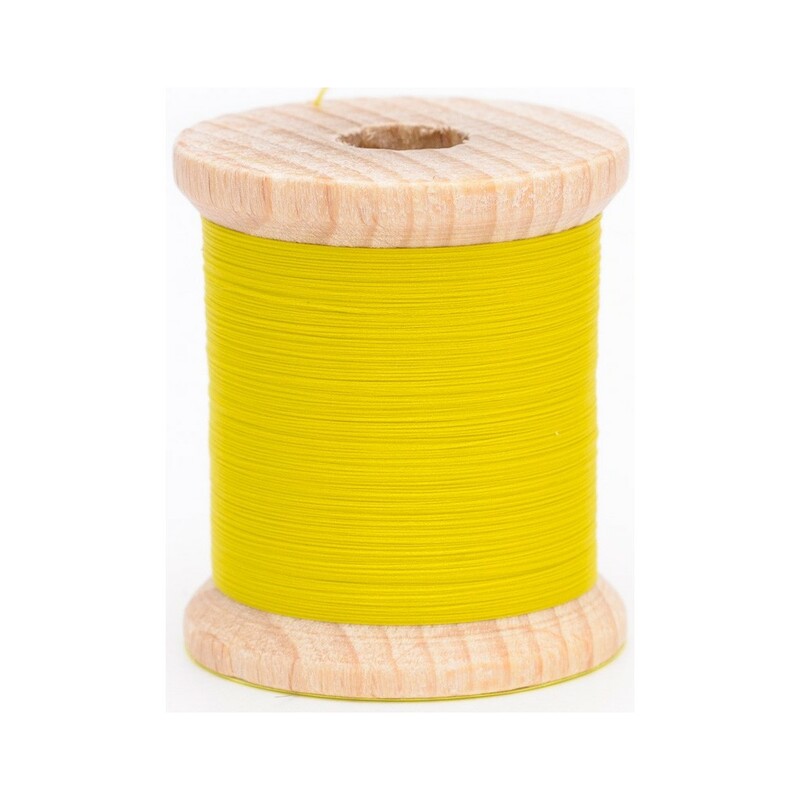 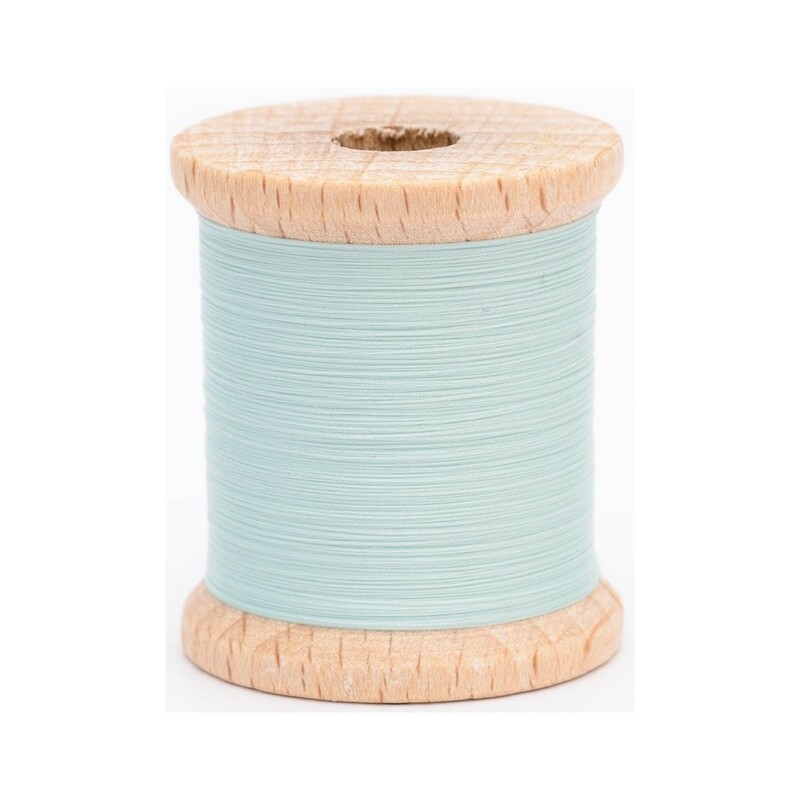 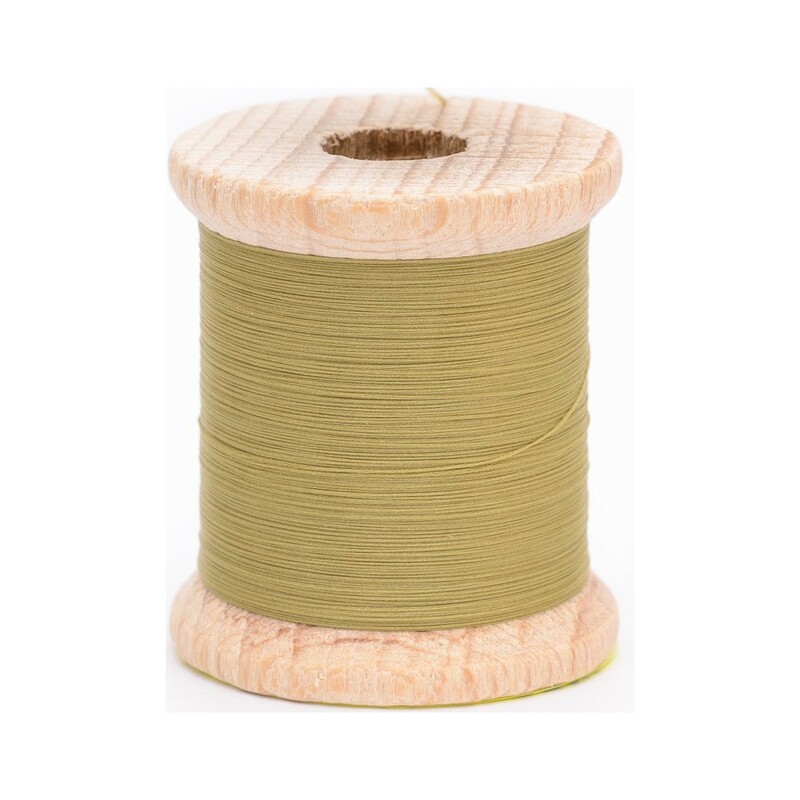 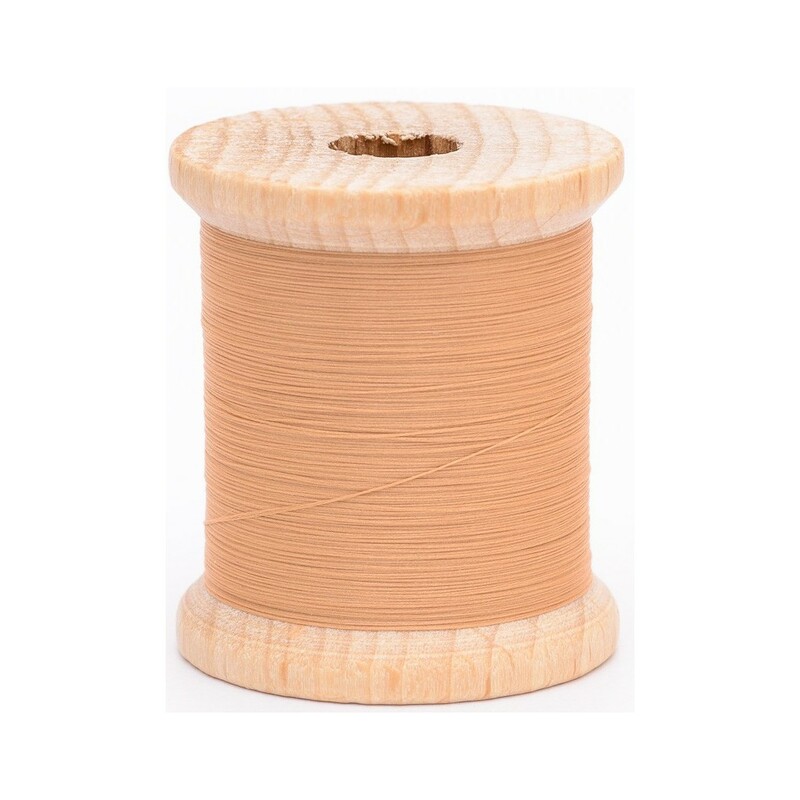 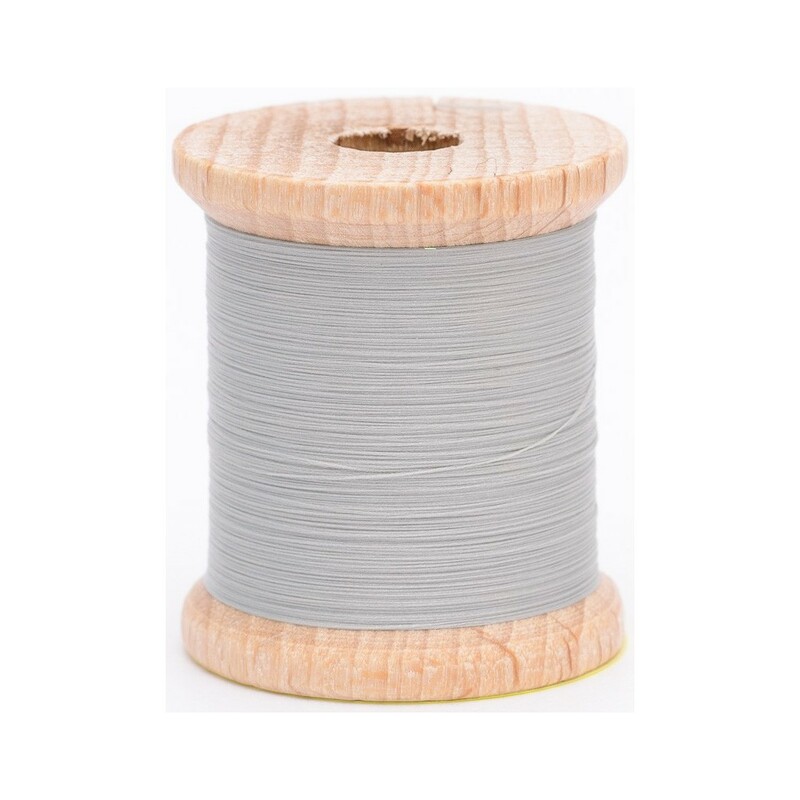 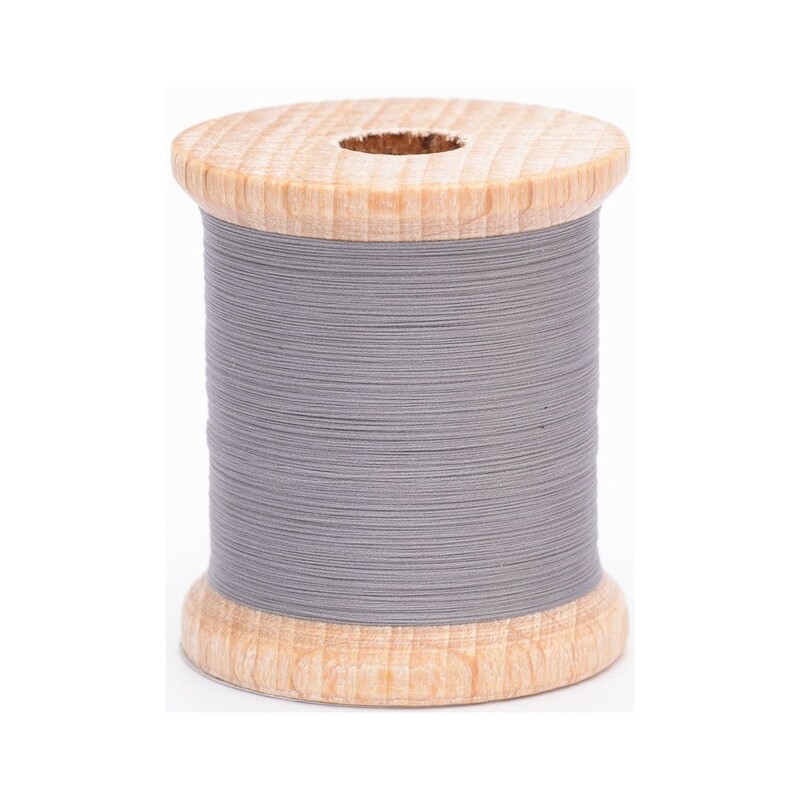 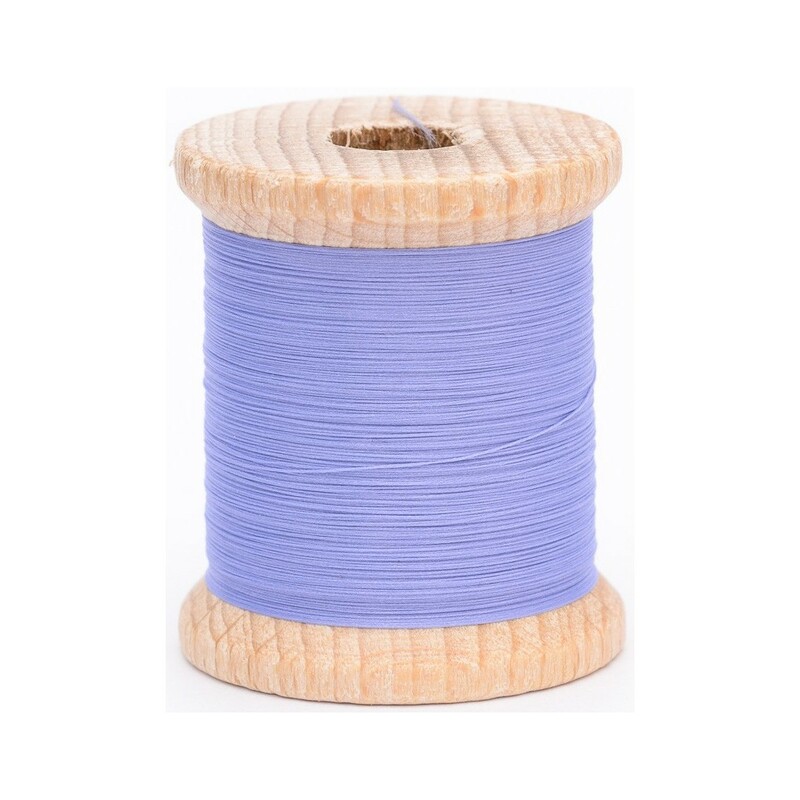 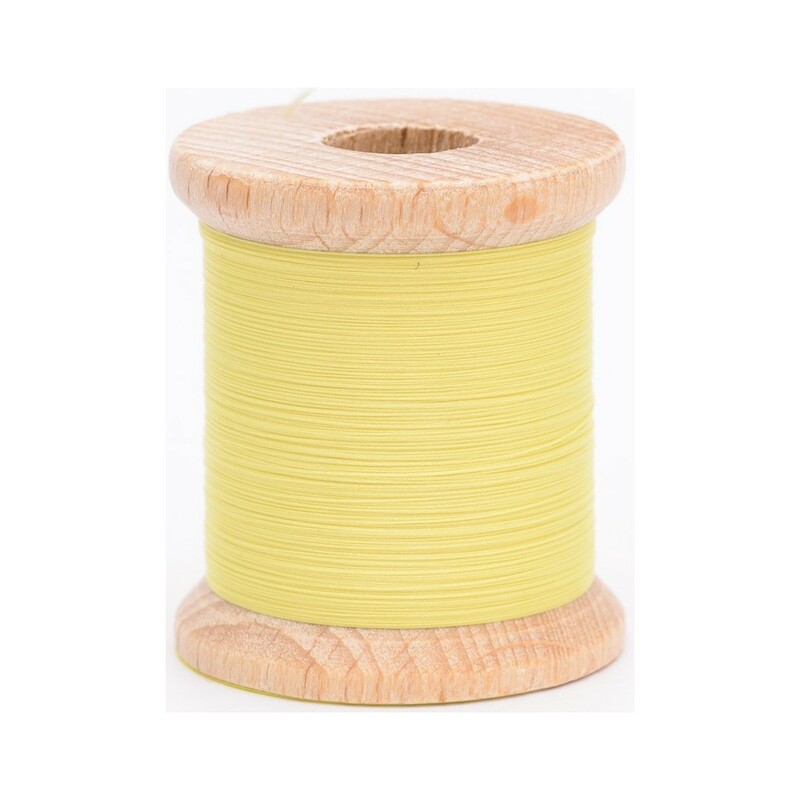 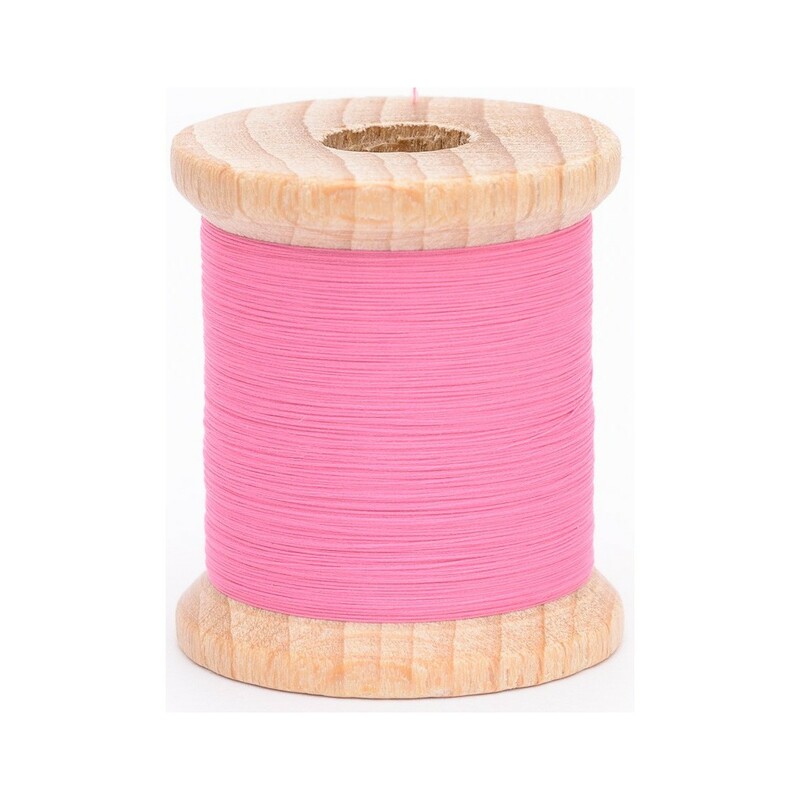 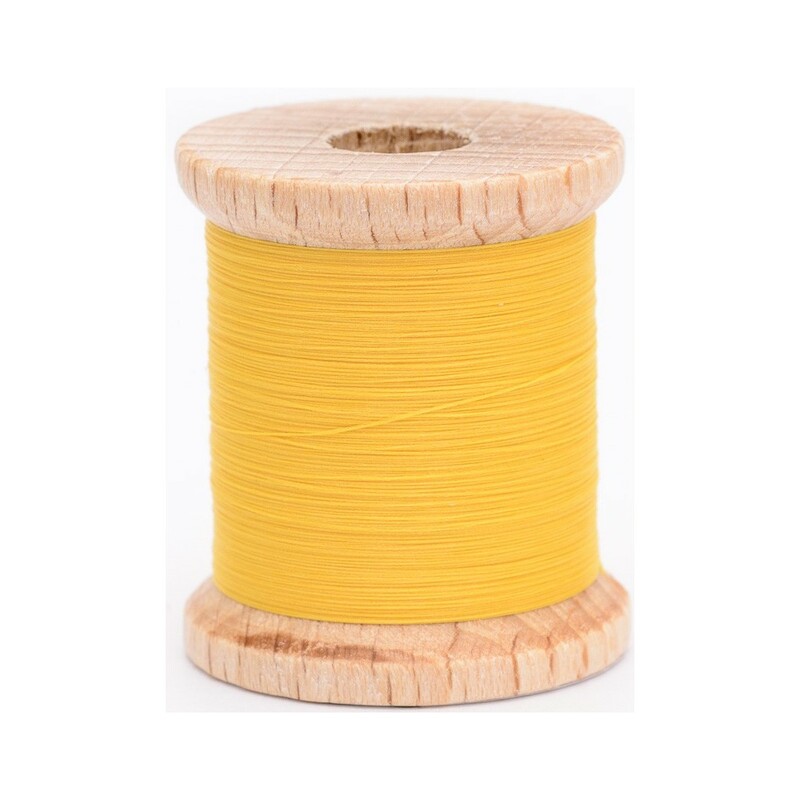 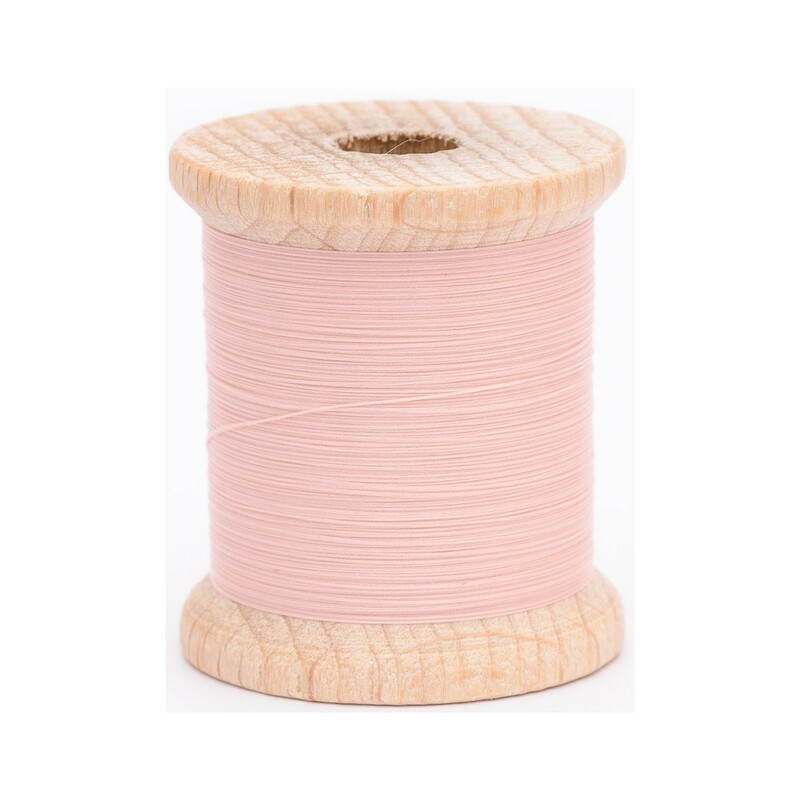 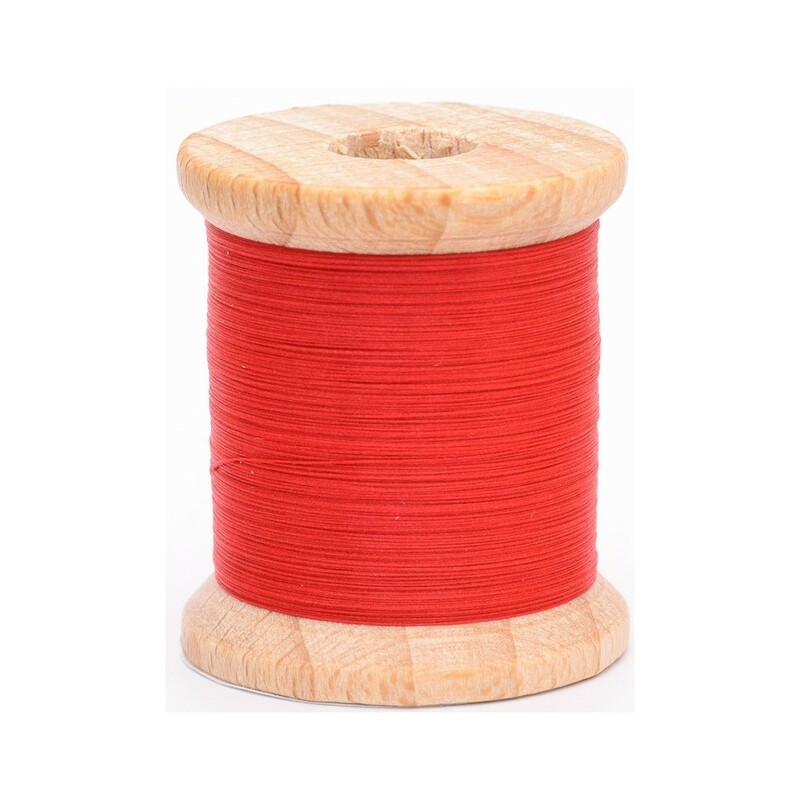 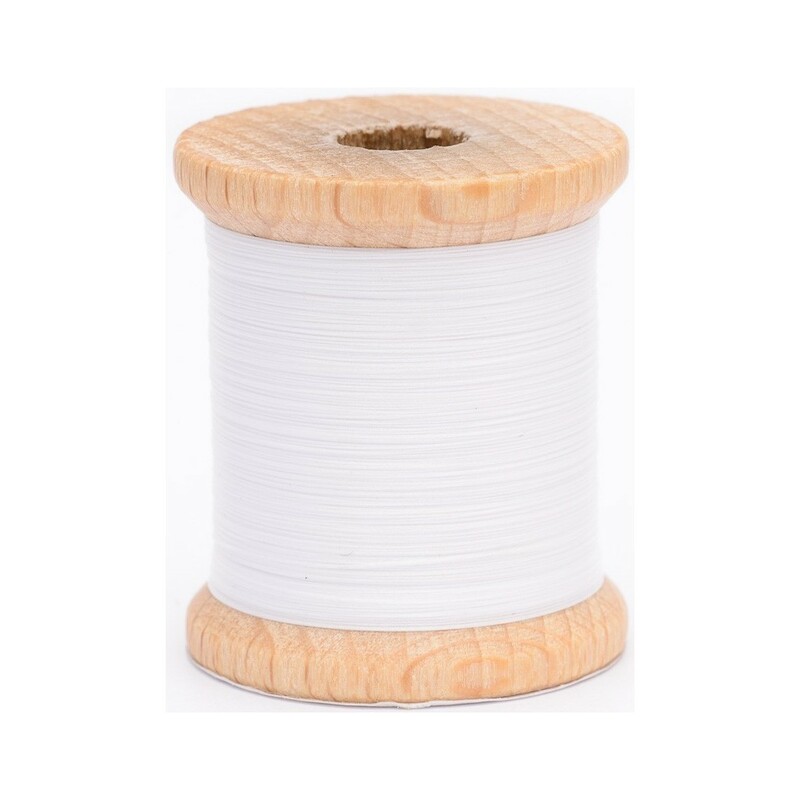 This thread comes in spools of 100 metres and in 32 colors. Developed and produced in the Czech Republic.